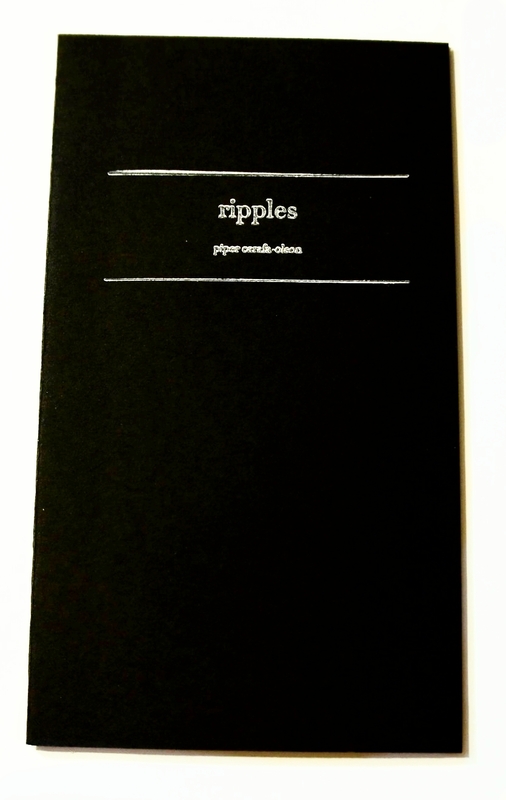 I am so excited to announce the release of ripples, a chapbook of poems by piper carafa-olson. 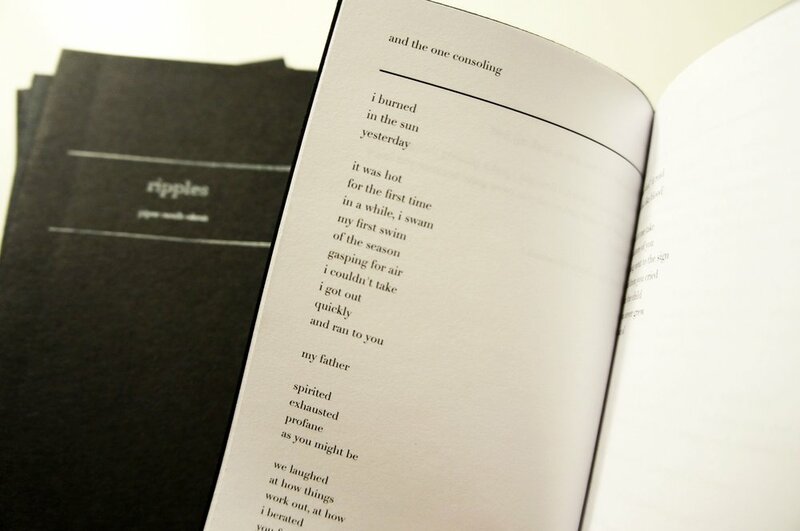 ripples explores themes of loss, love, growth, and womanhood. piper wrote these poems over the course of two years during which she lost her father. this is the first work of writing that piper has decided to share with a larger audience. for a closer look into piper's process, check out this conversation that I had with her last week. these chapbooks feature recycled black paper covers and sleek glue bindings -- a first for tsii made. the covers are hand-stamped and each book was hand cut and bound in small batches. I learned so much working on ripples -- how to work with intaglio ink and perfect binders, how to manage time and self-imposed deadlines, but also about my own womanhood, about sisterhood and moving gracefully through time. and so it is with great pleasure that I introduce ripples. you can find your copy in the shop or at elliot bay book company in seattle, washington.